Clothing Manufacturers and Factories That Make Clothing For Fashion Designers & Clothing Lines - Find One On Our Ultimate Fashion Contact List eBook to Make Your Clothing Today! Do you need a clothing manufacturer to make your clothing line or clothing designs? Make your samples? Look no further! We make finding a clothing factory to make your clothing line super easy with our Ultimate Fashion Contact List 2016 Edition eBook! We put 500 fashion contacts at your fingertips and many of their websites are only a click away. You will even find a manufacturer from your own country if you want to focus on domestic production! Features manufacturers from over 30 different countries! The clothing manufacturers on our list make everything from shoes to jeans. Find one that can make any style of clothing that you need and more! Our Ultimate Fashion Contact List eBook has manufacturers that have worked with many top apparel brands. 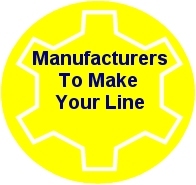 Keep in mind that their is a secret to getting manufacturers to work with you and respond to your queries. Industry secret: Manufacturers are selective who they work with as well so you have to know how to approach them. This is the same for manufacturers on our list or any factory in the world. We recommend reading our Official Step by Step Guide to Starting a Clothing Line Book before approaching any Apparel Company to make your production. It will put you in position to get the best manufacturing possible for your designs. Clothing manufacturers on this list are from all over the world including Apparel Factories in USA, Australia, United Kingdom, Canada, Italy, India, China, Hong Kong, South Korea, Istanbul, Pakistan, Taiwan, India, Mexico, Singapore and more. These manufacturers make denim, jeans, dresses, t-shirts, skirts, sweaters, hats, buttons, shoes, designer glasses, handbags and more, plus screen printers, embroidery services, blank T-shirt sellers, blank hat sellers, graders, and more! Some of these manufacturers have worked with famous brand names that you have definitely heard of like Akademiks, XOXO, Pepe, JC Penny, Walmart, Tommy Hilfiger and Dickies. Also get: Denim Wash Houses, PR and Marketing Companies, Tradeshows, Fabric Suppliers and more. Plus: Most listing contains vital descriptions of what each contact’s specialty is. This truly is the ULTIMATE FASHION LIST! “Never has finding the right manufacturer, clothing factory or fashion industry contacts been easier!” Some of the manufacturers listed even produce small quantities of your clothing collections without the huge minimums providing you know the secret to get them to do so (Official Step by Step Guide Book). Super 1 Day Sale $125 (Regularly $150). Get this item now during our Super Sale to Save! Launch Your Clothing Line and Give It the Competitive Edge With Our Fashion Mogul Package - 10 Awesome Items! 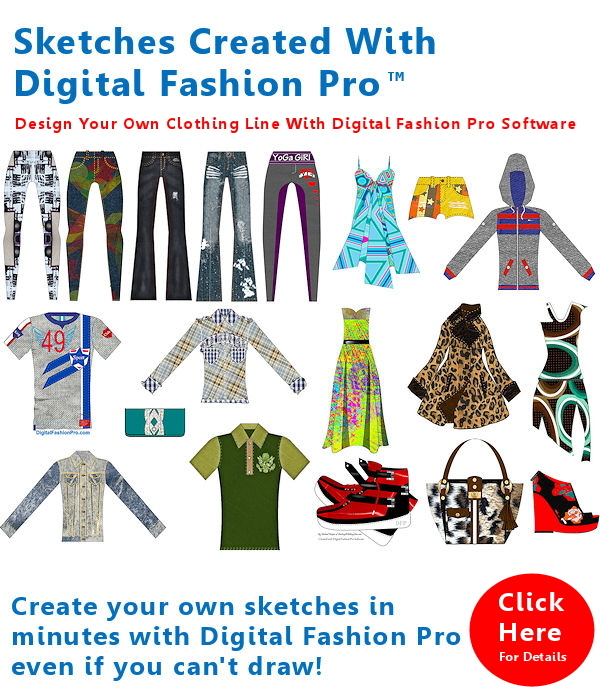 Includes Digital Fashion Pro Industry Edition, The Ultimate Fashion Contact List of 500 Apparel Manufacturers and The Official Step by Step Guide to Starting a Clothing Line Book! Design Almost Any Style for Any Market With the Clothing Line Creator Package! Just $475 Today On Sale Today + Free Shipping! Regular Price: $1750. Save Big If You Order Now! This is the Package that helps Aspiring Fashion Designers Turn Their Idea Into A Professional Clothing Line! This Course Will Give You Insider Clothing Line Tips and The Right Knowledge That Will Help You to Make Your Line A Success. It Packs 15+ Years of Direct Fashion Industry Experience From the Small Start-Up Clothing Line Perspective With Goals To Become A Global Fashion Brand. We Guarantee This Package Will Help You Excel Even If You Are an Absolute Beginner! The Tools to Start Your Line, Design It, Get It Made and In Stores! Get Started Today - Order Now During Our Super 1 Day Sale! You Will Love this Package! We also offer design services. We can create your Logos, Professional Fashion Sketches, Label Design, Line Sheet Design, Spec Sheet Design, Web Graphics, Hangtags, Button Designs and more. Visit Our Design Services Page for details and ordering information. Visit Sourcing at StartingAClothingLine.com. The Official Step by Step Guide to Starting A Clothing Line Course. This book is a must have if you are starting a line or even if you have an existing line. The topics covered in this book which range from starting your line, how to your clothing designs made and in stores is crucial information. 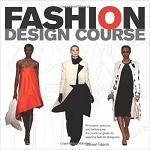 This book even covers how to get clothing manufacturers to make small quantities for you. Don't be caught without this book in your arsenal. The guide to how to start your own line will have you ready to take the fashion industry by storm. This book doesn't just show you the steps to creating it a line - it is designed to give you the competitive edge! To learn more about this item visit our store homepage and click on it. Pricing Page. Fashion Business Center. This product comes with fashion spec sheet templates, grading sheet templates, business plan tools and more. It helps you run your clothing line more effectively. Spec sheets are needed to give to your clothing manufacturer to get your line made. Helps you establish what your budget should be and more. To learn more about this item or to buy it, visit the store homepage and click on it. Pricing Page. Note: Packages combine many of our popular items into one package so that you can get more for less. Packages below come with products / resources that include clothing manufacturers that can make your line. They contain items that will enable you to be in position to submit your designs to manufacturers in an industry standard format and more. 3. Ultimate Fashion Contact List eBook of over 400 clothing manufacturers ($125 Value). Free with package. This package is on sale today for $295. Save over $100 off regular price! Finding a manufacturer is made easy with our Ultimate Fashion Contact List. However, there is more that you need and should know before you seek out a clothing factory to make your clothing production. Knowing how to transmit your designs to manufacturers and spec sheets is important. But not only that, it is very important that you know how to assess quality, lead times, delivery and more. If you have never had over 10 production orders made or have worked with more than three clothing suppliers, then we definitely recommend that you read The Official Step by Step Guide to Starting a Clothing Line Book. This book will save you a lot of unnecessary mistakes that are bound to happen if you do not know the ins and outs. This guide is very helpful and will help you make informed decisions. Manufacturers, especially the good ones are hard to come by some times therefore it is important that you approach them correctly. Without the right approach, they will not work with you as they are selective as well as to who they call clients. They can only work with so many lines so to increase your chances of them working with your clothing line you need to know the business. If you had the thought that all you need is factory and you are good to go. You could not be more wrong. You may be setting yourself up for unnecessary challenges. If you had the thought that the factory will design your clothing for you or they will make your clothing for free and then make money once it sells - this is also incorrect. To increase your clothing line's chances of success overall including working with clothing manufacturers - then we recommend a package like our Clothing Line Creator Package. Trust us - the value and benefits of this package far outweigh the potential cost of making the wrong business moves. 3. Spec Sheet With The Measurements (Blueprint) of the Style - Contains all relevant information such as color, trims, etc. * All can be emailed to your apparel supplier. * The Clothing Line Creator Package can help you with all of this plus the Spec Book we have on our website which has standard body and garment measurements. Be sure to read the article link above on this page about the Fashion Design Process of getting clothing made. FYI: Your purchase could be 100% tax deductible as a business expense if you already have a business on record or if you start your fashion business this year! If you don’t have a business or D.B.A. yet don’t fret - our How to Start a Clothing Line Course will show you exactly how to get things set up! Therefore, you have nothing to lose but everything to gain! Kick off your fashion career today!